Happy spooky season! 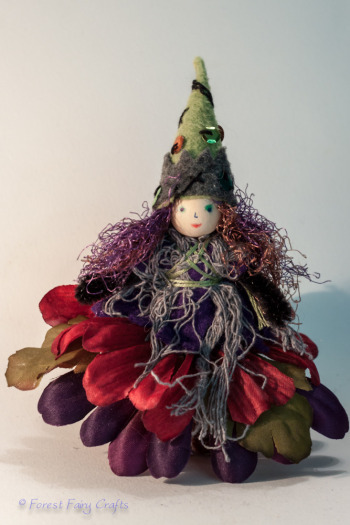 I love sewing fairies and gnomes with children. I also love sewing them all by myself! This season, especially, I get to have fun with make-believe! This is one of my favorite fairies to craft- the zombie fairy! Although she also reminds me of witch. In our fairy forest, zombies watch over the night-animals. They love tea parties under skeletal trees. They are playful and fun to sew. We don't have tutorials for these fairies, yet, but the fairies are currently for sale in our Etsy shop. Tutorials will be available one day (stay tuned). And this week, we have a sale in the forest- 20% off with the code SPOOKY12. I know it's too late for this Halloween, but these little fairies are keepsakes that will stay with your family for years. So, without further delay, here's my witch this year! She makes me smile! I was distracted when I glued her hair, which happens in a house with young children :). So, when I tried to braid, I counted way too many strands of yarn. I could cut them, or... fishtail braids! I hadn't tried them before, but they are perfect for her. I especially love the purple and green together. She also chose the purple shirt. I orginally had black felt cut, but got my pieces mixed up with the zombie girl. This witch wanted to be sweet this year! 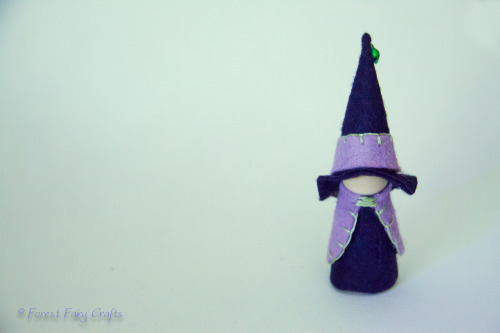 I also made a few witch gnomes. They were so fun! We will get to share their hat-tutorial with you in the coming months because I do have a little trick for them :). One has found her forever-home, but the other two are still available. So the spooky corners of the forest are getting ready for their favorite time of year! We wish you a happy, fun, safe holiday! Fairies and gnomes are waiting for you here. Oh, and we have a Pumpkin Fairy Craft Kit. You can leave the face pieces off for a harvest-season fairy. Or save it for next year. Fun stuff!